It’s been a hot minute. We’ve been in hiding. Life has happened. And now, we turn it over to you . 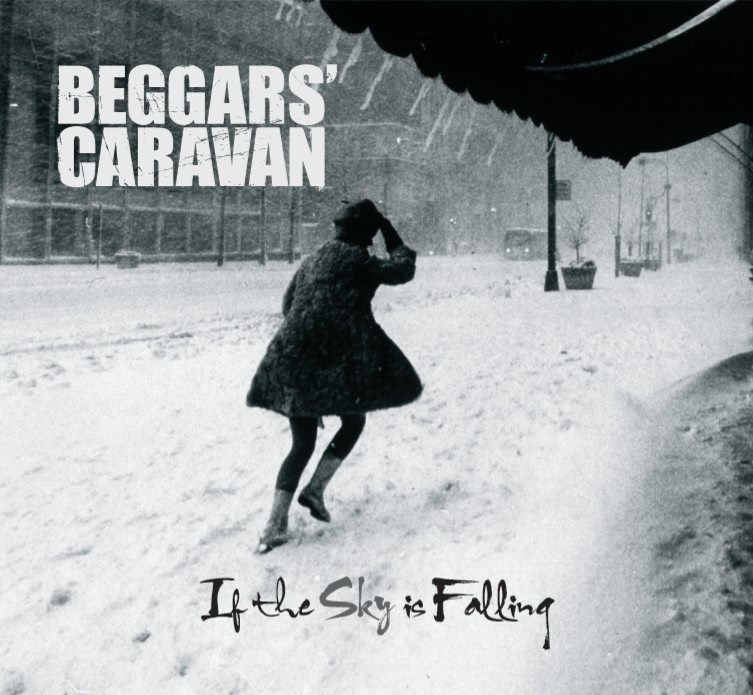 . .
Beggars’ Caravan is proud to present our latest offering – 11 tracks of musical honesty, made solely for your enjoyment. If the Sky is Falling arrives as the output of a few years of touring, writing, bonding, and letting go. We wanted this record to be indicative of our stage vibe and our unique contributions to the band. The entirety of it was recorded in a bedroom at home, and we once again leaned on our trusted compatriot Ian Schreier to mix and master it. We’re so thankful to everyone who has made music possible in our lives, and our only goal is to give some of that back to the world with each tune. Gearing up for the new album . . .
2010 has been put to bed, and we close another chapter in the Caravan story . . . after great sessions with the band and our producer Ian, we’re over the halfway mark on our new album, tentatively titled “If the Sky is Falling”. We’re very excited about this set of tracks, as they showcase not only the continued songwriting growth but more of our live vibe that you’ve come to enjoy over the years. Thanks to you all, we already have some crowd favorites from the new tunes, including “Blue Diamond” and “Prisoner”, and we can’t wait to introduce you to the yet-to-be-heard originals. As always, we want to thank all of you for your continued support, attendance, and love. We will see you soon, with new music in tow . . . here’s to an outstanding 2011!! We’re always honored to be asked to perform in any capacity and to share the stage with other musicians, and Saturday, May 1st was certainly no exception . . . Following the Rock and Roll Hall of Fame 2o1o benefit concert at Koka Booth amphitheater in Cary, Beggars’ Caravan rocked the patio at Rally Point and welcomed a stellar blend of Hall of Fame members, including (but not limited to) Dave Mason of Traffic and a monumental solo career; Alan White, formerly of Yes and currently with his White Sox band; Spike Edney of Queen; prog-rock bassist and White Sox co-founder Bernt Bodal; rock violinist Geoffrey Kastle; David Anderson of Atlanta Rhythm Section, and members of Prince’s band The Revolution and former band 94 East. We all laid it down and kept people dancing until the early hours of the morning, and it was a highlight for us, our friends, and our new fans. Several folks have complimented that it was the best $10 ticket around, so thanks to everyone involved for making it a spectacular event. Special thanks to Rich French of the Rock and Roll Hall of Fame, Drew Schenck and the Rally Point crew (including the lighting crew – great job! ), our expert sound tech Stu, our incredible photographer Sledge, and the fantastic Hall of Fame members who humbly gave their time to entertain everyone and make new friends and fans. Now, it’s back to the studio to get the 2nd half of this album underway, so we can have more fun times on stage!